Brunch in Paradise returns with the Queens of Farm to Table. 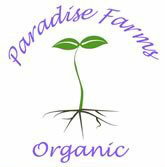 Paradise Farms Organic offers a delicious upscale family style meal made with local organic products, sourcing as much as possible directly from the farm. Each brunch features fresh eggs, homemade yogurt, fresh seasonal fruit, mimosas, and much more. Guests please arrive at 11:15 am, followed by a farm tour at 11:30 given by Gabriele Marewski, followed by lunch at 12:00 noon. All brunches require reservations. For more information and to make reservations, please visit Brunch in Paradise. Ingredients on the menu are harvested to order by the farm’s staff, and prepared fresh, based upon the seasonal availability of the farm. Each brunch is priced at $53.00 for adults, $15 for children under 12, and free for children under 2. Tax and Google fee not included.